Easter is a christian festival that is celebrated to enjoy the resurrection of Jesus Christ from the dead. The card is designed with a bunny and with a basket full of easter eggs. It contains the text "Happy Easter in Advance". 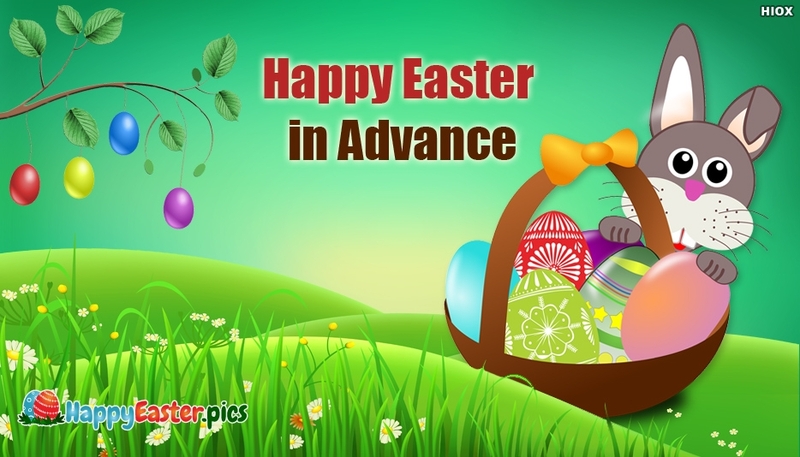 Share this advance happy easter e-greeting card with your family and friends and make them feel happy.